U.S. District Court judge Lewis Kaplan, who had been presiding over the bin Laden case in Manhattan federal court, issued an order called 'nolle prosequi', which means 'do not prosecute' in Latin, a typical legal move once a defendant is deceased. Bin Laden was indicted back in 1998 in the Southern District of New York for his role in the al Qaeda attack on the U.S. embassies in Tanzania and Kenya, which killed more than 200 people, including a dozen Americans. The indictment was later revised to charge bin Laden in the dual bombings of two American embassies in East Africa that killed 224 on August 7, 1998, and in the suicide attack on the USS Cole in 2000. None of the charges involved the September 11, 2001, terrorist attacks. Unstacking the Deck, w Jason Robo and Kyle Beattie, episode 1 on 9/11 w/ guest Gregg Roberts, co-author of the Open Chemical Physics Journal article "Active Thermitic Material Discovered in Dust from the 9/11 World Trade Center Catastrophe", by Niels H.Harrit, Jeffrey Farrer, Steven E. Jones, Kevin R. Ryan, Frank M. Legge, Daniel Farnsworth, James R. Gourley and Bradley R. Larsen. UTD is a response to the narrow special interest serving perspective of mainstream news media coverage that leans toward sensationalism and celebrity rather than truth and substance. The program is hosted by Humboldt County residents Jason Robo and Kyle Beattie, both recent graduates of Humboldt State University's department of Political Science. Robo and Beattie seek to provide coverage and analysis through the lens of tyranny, liberty and an alarming tendency towards centralization of power. Also find the show on Youtube at Unstackingthedeck's profile. Paul Cruickshank: "There is virtually no chance that bin Laden would walk free from a U.S. courtroom"
Editor's note: Paul Cruickshank, a Fellow at the NYU Center on Law and Security, regularly contributes to CNN's coverage of al Qaeda terrorism. New York (CNN) -- The announcement that Khalid Sheikh Mohammed and four other men accused of the 9/11 attacks will soon be moved to New York to face trial in a federal court will be welcomed by some Americans as finally starting the process of bringing the perpetrators of these attacks to justice. To date, not one person has been convicted for the attacks. But it also will be a reminder that their boss, the man most responsible for killing 3,000 civilians -- the majority of them Americans but many from all around the world -- is still at large. A lot of suggestions have been made here recently that the movement needs to change the way in which it has been perceived. The reason given for this is that people have been put off, and the movement damaged by an over emphasis on evidence for Controlled Demolition. 9/11 Bush Treason: Contact the Justice Department & W.H. Right Now! I am forwarding the following I received from Donald C. Meserlian, P.E., from New Jersey, who has signed in support of the petition at ae911truth.org as a professional engineer. His action can be duplicated by anyone, and he welcomes feedback on attempts to challenge those taking sworn oaths to uphold and defend the US Constitution. 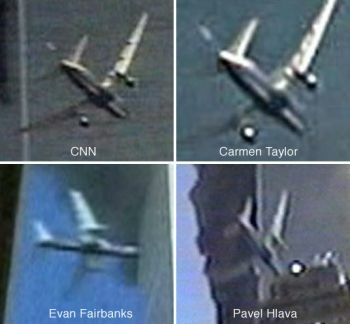 His information, in contrast to the work of Dr. Judy Wood, shows indisputable evidence of building-take-downs on September 11, 2001 at the World Trade Center in New York City.